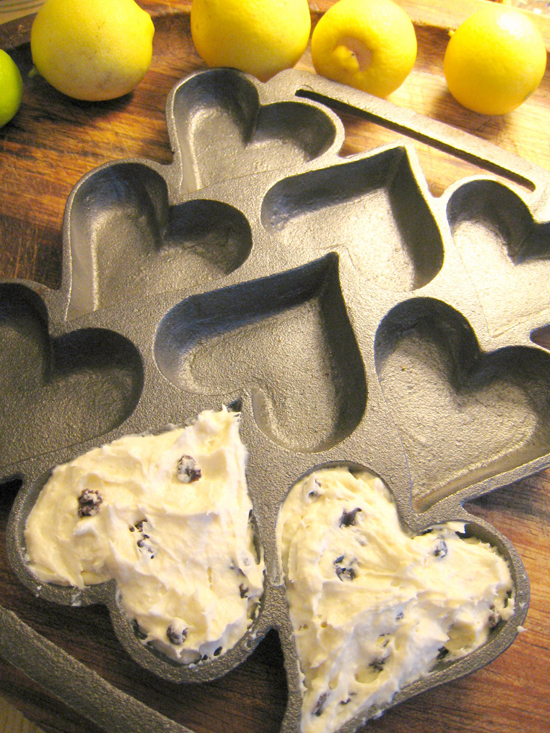 Just like the one Susan uses to make her famous heart-shaped Lemon Pepper Tea Biscuits! You can get the recipe for her tea biscuits in the book "Where Women Cook- Celebrate!". Before using your new heart pan (or any new iron pan), you will need to season it -- it's really easy to do in the oven, and nice to warm your kitchen this time of year! Simply brush on a very thin layer of canola oil, heat at 450 degrees for about 30 minutes. Let the pan cool inside the oven. Repeating this process will just season it even better and the more you use your pan, the better it will get!